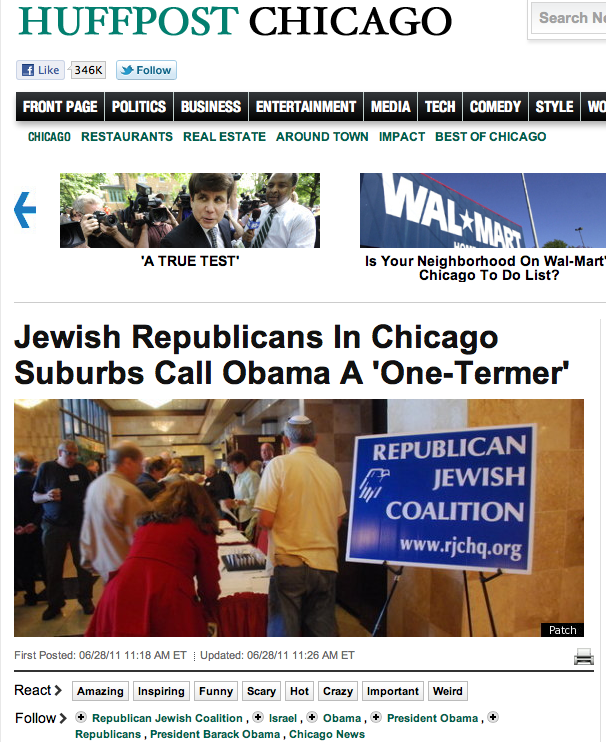 SKOKIE, Ill. – Between analyzing the electoral prospects of Republican presidential candidates and ridiculing the “level of mental illness among liberal Jews,” members of the Republican Jewish Coalition(RJC) gathered in Skokie last week to discuss how they could help defeat President Obama in 2012. Michael Menis, president of RJC’s Chicago chapter, told Skokie Patch that his group was alarmed at Obama’s policies toward Israel. Menis said the meeting’s heavy turnout on June 23 was a good indication that RJC members could be invaluable in helping efforts to elect a GOP president in 2012.